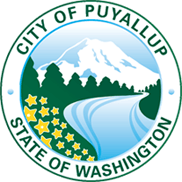 City of Puyallup Parks and Recreation uses Rec1 for online registration. Use your Facebook or Google account to login or create your account. We only access your name and email for login purposes. CivicPlus CivicPlus CivicPlus Add Approve Archive Arrow Down Arrow Left Arrow Right Arrow Up Attention Award Bar Chart Bookmark Bugs Clock Close Connect Conversation Decline Delete Desktop Download Email Email Favorite Add Favorite Flag Filter Menu Help History Home Idea Message Add Message Reply to Message Saved Message Messages Message Bubble Mobile Mobile Mobile Modify Notifications Remove Responsive Design Save Search Settings Facebook Facebook Facebook Twitter Twitter Twitter Support Upload Tools Users Video View Actions CP Messages Declined Items Expiring Items Manage Modules Parameters Pending Approval Permissions Recent Activity Submitted Items Activities Agenda Center Alert Center Analytics Archive Center Bid Posting Blog Calendar CarbonCalculator CivicSend CommunityConnection Community Resource Directory Community Voice Custom 404 Dashboard Design Center DocumentCenter Email Page ePayment Center Facilities FAQ Form Center Graphic Links Group Administration History Log Info Advanced Job Postings Licenses Locations Media Center My Account My Dashboard News Flash Notify Me Online Job Application Opinion Polls Page Notes Pages Photo Gallery Quick Links Real Estate Locator Redirects Request Tracker Site Administration Site Cleanup Site Map Site Search Site Properties Staff Directory Tag Management User Administration Where Do I…?